​​Nikola Jokic has plenty of game on the court, but his off-court persona lends itself well with the ladies just fine. While sitting on the bench during the ​Nuggets game against Cleveland on Saturday night, Jokic was quite obviously trying to cop a phone number from across the court. Unfortunately, we don't get a look at the person on the other end of this conversation. This is some creative miming. 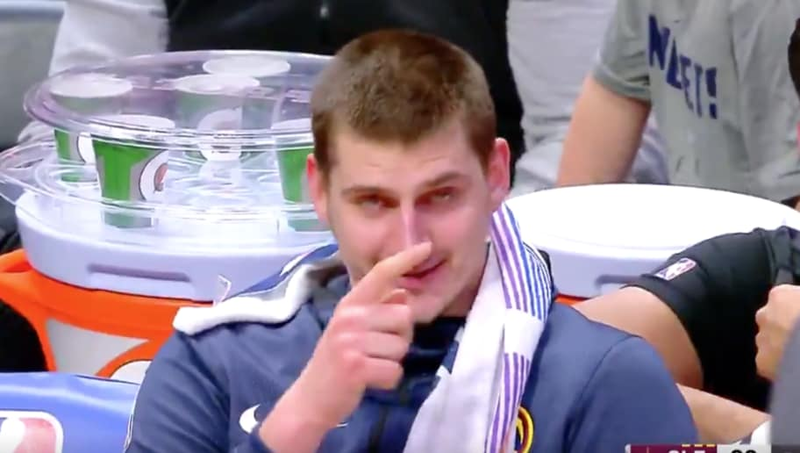 Towards the end of the conversation, Jokic seemingly gives up on reading lips and signals to his new friend to write their digits down and pass them along. At least he's got some plans for after the game, which Denver won handily against the struggling Cleveland Cavaliers. Jokic didn't let his off-court antics distract him from the game, though. The numbers don't lie. Considering Denver's success this season, the Nuggets are the hottest ticket in town. That ought to help Jokic's odds. There's always strength in numbers.